It is a story as old as time, we always need to get water. In days gone by, it meant going to the local well or even to the local stream. These days, things are usually much easier. For me, not so much; yet it’s not as challenging as it was in days gone by. For those with a fixed address, and indoor plumbing, all you have to do is turn on a tap, and water comes out. I have to go get water, and I do this in one of two ways. One way is to take my two 5 gallon jugs to the grocery store and buy 5 gallons of water for $3.00 (twice). The other way, when either it is the dead of winter, or if I am in Super-El Cheapo Mode, I “bottle my own water” so to speak from a tap that I have regular access to. For the longest time I have been carting my plastic bottles (that will fit under the tap) in a fabric shopping bag. I cart this back to the trailer and pour the full bottles of water into my large plastic water jug (with spout) and use that to dispense water. This is one of those examples where we stop questioning how you can improve this and just keep doing what you always have been doing. Carting the empty bottles to said available tap is one thing, carting the full ones back is another . . . it can feel like my arm is about to fall off (okay, maybe not that bad). 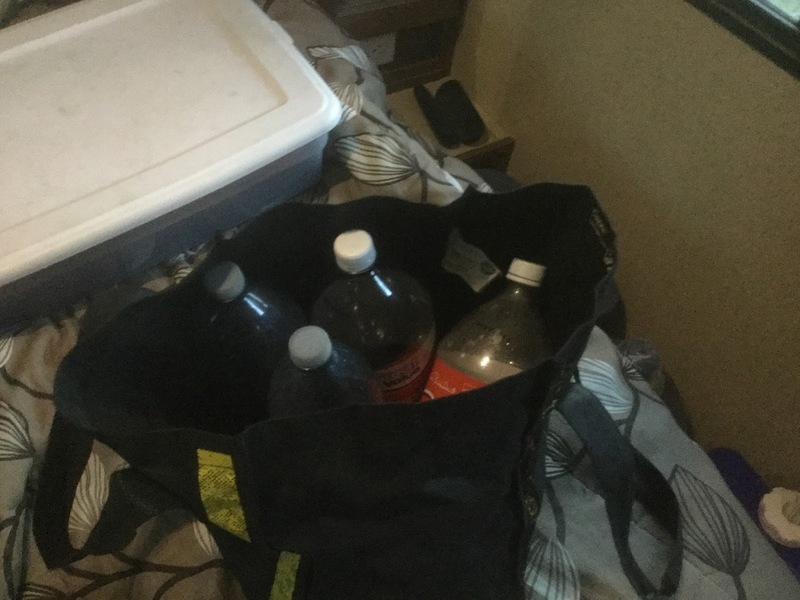 The other day I was wondering if there was something else that I could do, some way to carry them that would be easier on me, yet still get the water home. 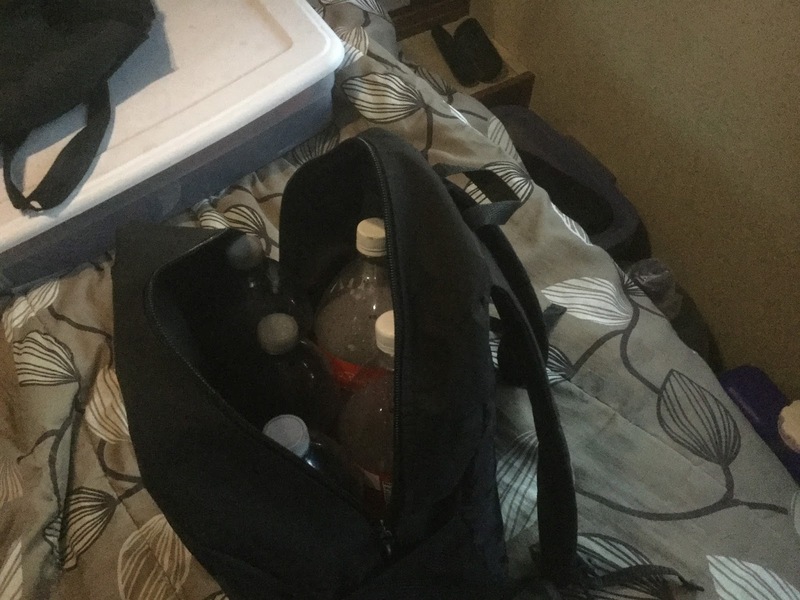 I already owned the backpack and as you can see the bottles fit rather well inside it. This way the load is on my back and not on my arms and voila water carried without too much fuss. So, if you are “bottling your own water” like me, then remember this little trick of using a backpack. If you don’t have to “bottle your own water” then remember to always question why you are doing something the way that you are, and wonder if you can somehow do it better. There is always room to improve and revise whatever you are doing.